As they started to become independent, I cherished those moments when they’d let me hold them. When they were getting bigger–big enough that I knew they’d soon be too big to hold or cuddle in my lap. Or held in my arms. Now, when I have the opportunity to hold my children–two of whom are adults–though those moments are brief, I find myself looking back to when they were small. 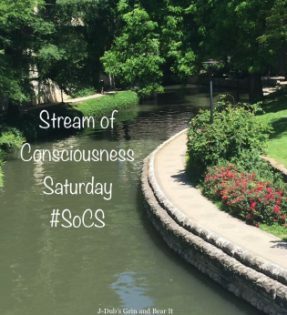 Categories: Blogging, Blogs, Life, Parenting, Stream of Consciousness Saturday | Tags: children, family, inspiration, living in the moment, SoCS, stream-of-consciousness writing, writing prompt | Permalink. You are so right Linda blink and it is gone! I like the direction you took your prompt. Is nice. Precious memories. I see updates from our daughter on Goodreads, and I remember reading to her as a small child. If there is any blessing that comes from losing three of the most important people in your life in a span of seven years before you turn 23, it is that you rarely ever take moments for granted. You learn to drink them in and savor them, memorize them. True! This is life a collection of precious moments and we really need to appreciate and enjoy them. Thanks for sharing. So true: how do we learn to be content in the moment rather than perpetually looking forward or back?